Planning to come to Spring Training on Saturday, April 29? Don’t forget to register! 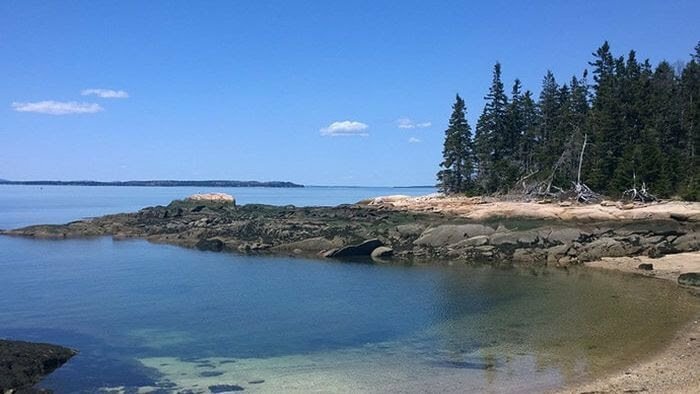 Join Bishop Steve Lane and Episcopalians from across Maine for 20 workshops on spiritual growth, formation, outreach, and leadership. To be held Saturday May 4, at 7:30 p.m. at St. Peter’s Episcopal Church, Rockland. 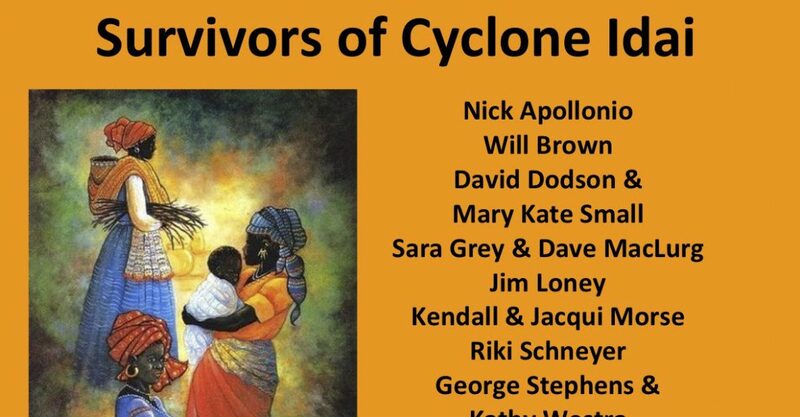 Donation $15 (0r more), with proceeds to go to the Episcopal Relief and Development Funds. Featuring noted local musicians. Gather with Bishop Lane and Episcopalians from all across the diocese for a day of learning, sharing and growth. With 22 diverse workshops to choose from, you’ll find what you’re looking for. It will be held at South Parish Church in Augusta. Coffee begins at 8:30, workshops are at 9:30, and we’ll gather together at mid-day for worship and an address by Bishop Steve. There’s no charge. But registration by Easter is required. Contact the church office (594-8191) if you need a ride to the workshop. 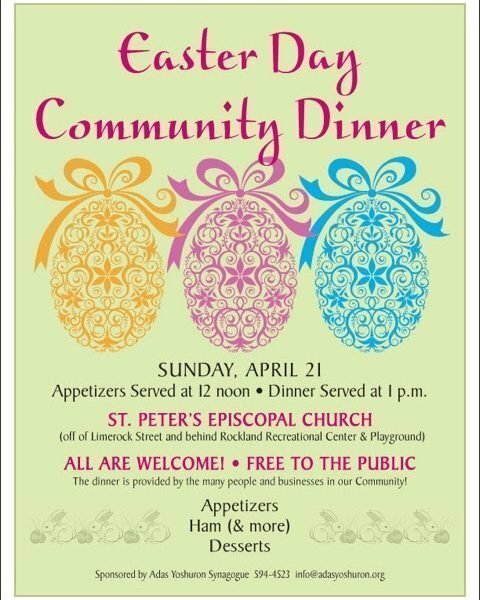 Sunday, April 21, Adas Yoshuron Synagogue will be preparing and serving a community Easter Dinner at St. Peter’s. Every one is the community is invited to participate. St. Peter’s is very appreciative of this gracious offering by our Jewish friends. Adas Yoshuron also prepares and serves an annual Christmas Dinner to allow members of St. Peter’s to spend these important religious holidays with their families. Check out details on the above flyer. 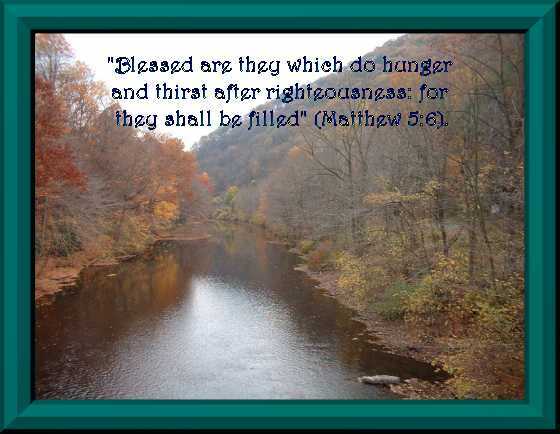 Reflect and commit to grow a loving, liberating and life-giving relationship with God’s Creation. Episcopalians and friends concerned about all of God’s creation are invited to join Presiding Bishop Michael Curry in pledging to take action to protect and renew God’s world and all who call it home. The goal is to gather at least 1,000 pledges with concrete, personal commitments by Earth Day, April 22. The Pledge to Care for Creation is part of living as the Jesus Movement. It’s a promise to protect and renew this good Earth and all who call it home. It’s a promise to share our stories, stand with those who are most vulnerable, and live more gently on the Earth. Easter Sunday, April 21, 9:00 a.m. ONE service only; Choral Festival Eucharist, followed by the parish Easter Brunch; Easter Egg Hunt at 12 Noon and the Easter Community Meal at 12:30 p.m. 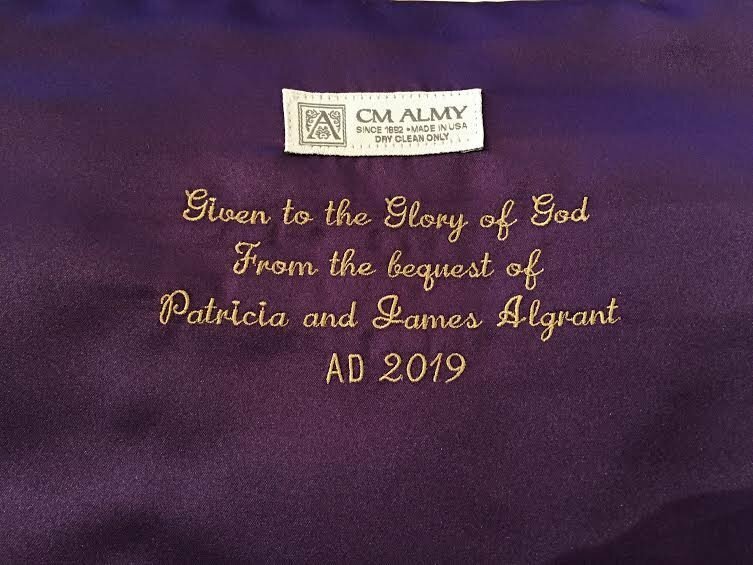 This past year, Pat and Jim Algrant – faithful communicants of St. Peter’s – died and left two bequests, one for the Altar Guild and another to be used by St. Peter’s at the discretion of the Vestry. After careful thought, Rhonda Hart (Altar Guild directress) and members of the Guild decided to use the gift to purchase new linens. The first of these arrived just in time for Lent. 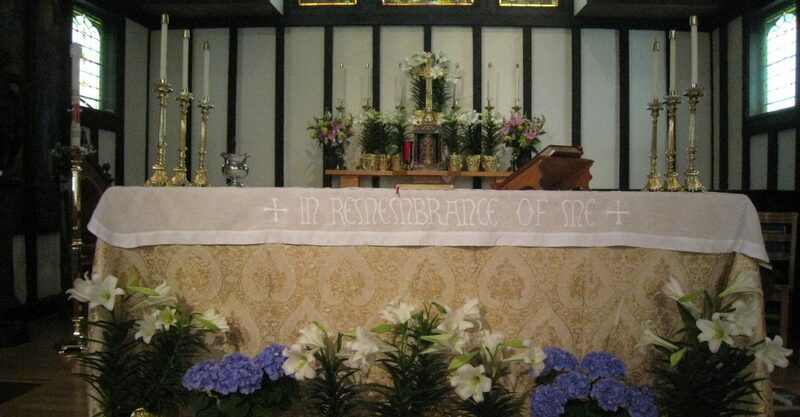 Take time to admire the handsome new purple (color of the season) linens and note the lovely embroidered inscription, expressing gratitude for this gracious gift (photo above). Adult Forums in Lent – Please join David Grima and Jim Bowditch for an instrumented Lenten forum experience. For those of you who joined us for the Advent Forum, this will continue the theme of “The Way of Love”, and from our perspective it is better than the Advent offering. Sunday, March 10 will outline the program for Lent and cover the first lesson. There will be plenty of opportunity for an interactive discussion among the participants. Also, there is a resource book which is available through the national Church or through Amazon in either print or Kindle formats. The idea behind this series it is to continue development on a rule of life which will guide us in the Way of Love, much along the path the early Christians pursued in doing their best to follow Jesus. Rector’s Lenten Forum on Celtic Theology and Spirituality to be held onSundays during Lent at 4:00pm in the Parlor, (March 10, 17, 24, 31, and April 7). St. Peter’s has offered for the past year+ an evening Celtic Eucharist. It is our fastest-growing service. Why? 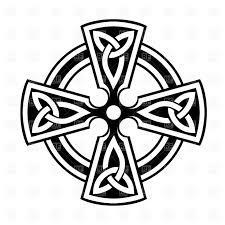 In what ways is Celtic theology and spirituality different from or similar to what we know of Christianity on Sunday morning? What are its unique graces and gifts to our spiritual lives? Join us to learn more about the renewal of this rich strain of Christian worship and thought, and then join us to experience our contemporary expression of Celtic Spirituality in our meditative service. Looking for an alternative worship service? Join us for our meditative 5:30 Sunday Celtic service, with participants are invited to stay for a communal meal following the service. Drawn from the liturgical traditions of Iona and Northumbria, this service combines meditative silence and music, simplicity of utterance, and faithful commitment of care for the earth. This way of prayer, of opening oneself to God’s love, God’s forgiveness, and God’s hope – to the fullness of God’s presence in our lives – is hundreds of years old but speaks with immediacy to the yearning of our hearts now. The service includes meditative reflections from lay persons about their personal spiritual journeys, as well as readings from diverse traditions that focus on the divine unity of all creation and encourages participation from all seeking to deepen their spiritual journey through shared prayer that seeks to break down barriers between different faith traditions and seekers. Ash Wednesday – March 6, Ash Wednesday services of Holy Eucharist with Imposition of Ashes will be held at 7:00am, 12:00pm (spoken service), and 5:30pm (choral service). Ashes to Go – St. Peter’s will be offering Ashes to Go in downtown Rockland on Ash Wednesday (March 6th), again joining up with our friends from Nativity Lutheran. Ashes to Go is a practice of bringing the important traditions of our faith out from behind church walls and into the places we need them every day – and we especially need reminders of forgiveness in the tough places of our working lives. 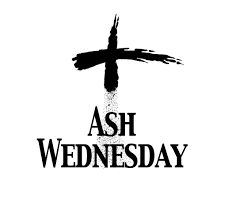 This is an opportunity to listen, to offer a blessing, and, for those who request it, to impose ashes and be with others who long to make a connection with the transcendent on this Holy Day. It requires some training, and, if you’re interested, call the church office (594-8191) and ask to speak with the Rector.